All photos courtesy of The Thief. 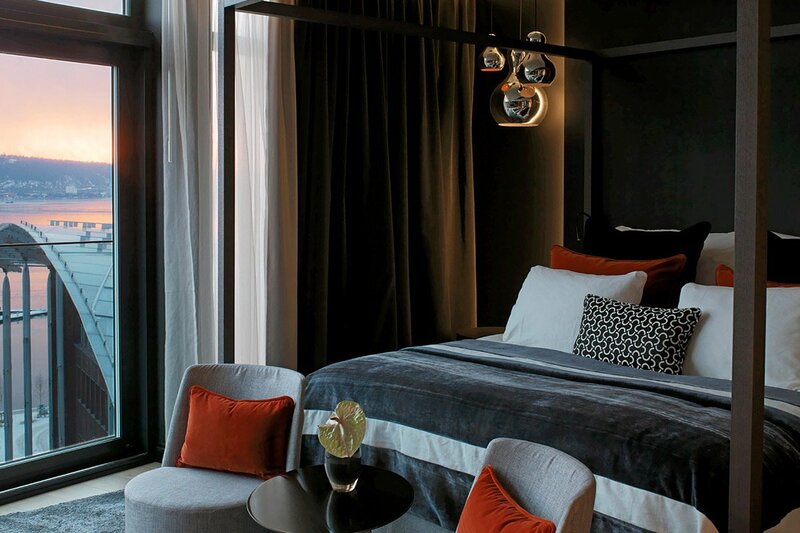 co-founder Laurent Vernhes knows a thing or two about choosing a good boutique hotel. 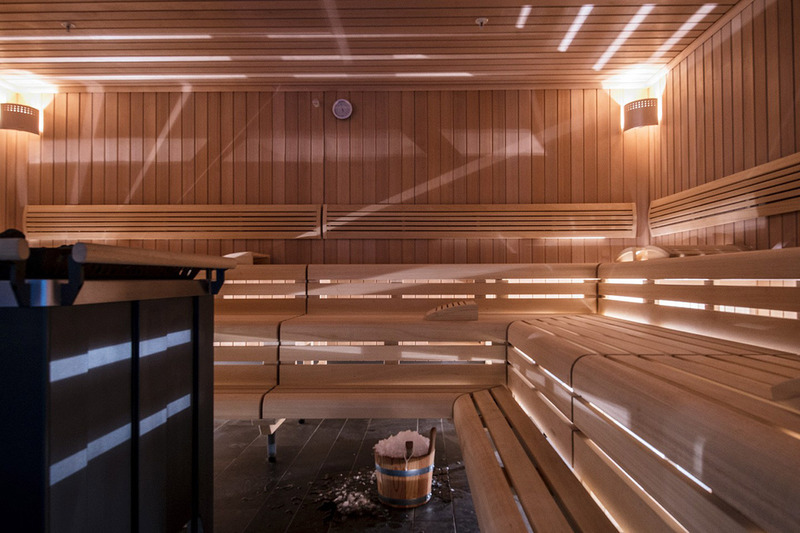 On a recent visit to Norway's capital, he checked into The Thief, a modern escape in the city's architectural hub. Despite the Nordic world's reputation for modern design, much of what you actually find in a city like Oslo conforms to a subdued 19th-century bourgeois style. But is different. It's a contemporary design hotel in an eye-catching building on Tjuvholmen, or Thief Island — which accounts for the name — in a neighborhood where all the buildings are unapologetically modern. It's modestly sized, just over 100 rooms, quietly stylish, and very thoughtful and civilized, as you'd (rightly) expect from Norway. It's full of artworks and furniture by famous Norwegian and foreign designers. In the summer, the rooftop is comfortable. The waterfront, including Tjuvholmen, has recently been redeveloped into an arts district, so The Thief is hardly the most modern building around — the modern art museum next door was designed by Renzo Piano. 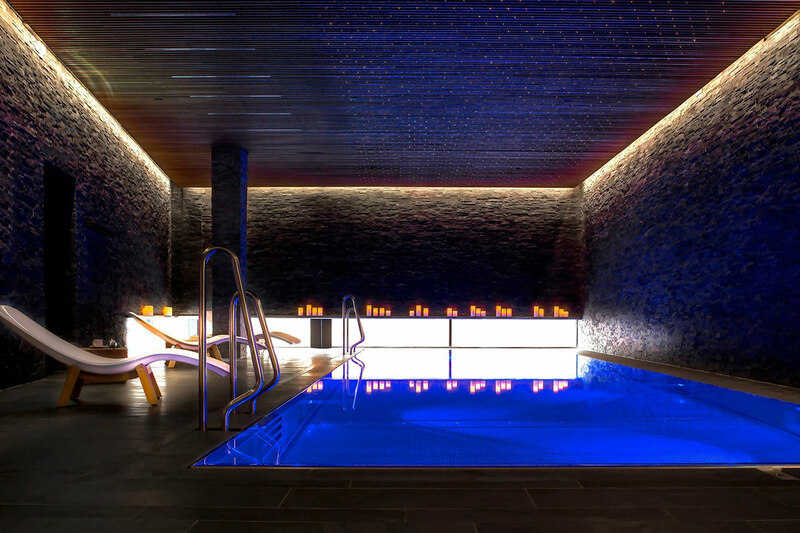 The hotel and location itself are undoubtedly the place to be in Oslo for design-conscious travelers. The breakfast is excellent, with local breads, cheeses, butter, and smoked fish. Even their house-made Nutella is good, and I don't normally like Nutella! Everything is top-quality, the little French croissants too, and I've had a lot of those. 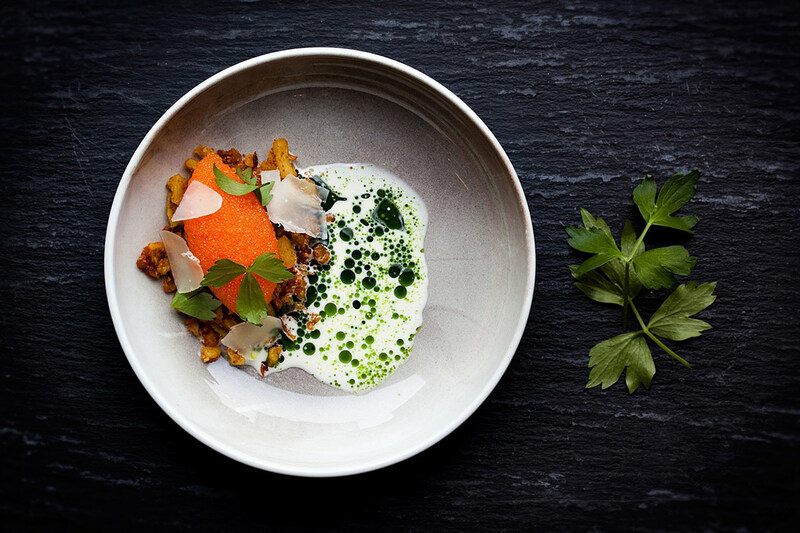 Their fine dining restaurant Fru K uses local ingredients to showcase Norwegian and Scandinavian gastronomic traditions. The hotel caters to both business and leisure travelers, so you can expect solid Wi-Fi, a good bathroom with quality bath products from Carita, and all the basics that just about any hotel has to have to make it onto Tablet, frankly. The bathrobe and bedding are very comfortable — Norwegians know how to stay cozy — and the wool slippers are a nice touch. Some rooms look out across the harbor at the fortress, and all face the other modern buildings on the waterfront. Even though it's cold, the buildings have huge windows, and you can see into the neighboring offices and apartments. It's hard to explain, but you feel like you're living a sort of grown-up, modern European fantasy, like something from Dwell magazine. And in fact, The Thief is probably one of the less stylistically adventurous buildings around — your neighbors' interiors are more out-there than your own. A look at the contemporary, artistic, creative side of Oslo. What oil money (with taste) can buy. The rest of Oslo, outside of the waterfront development — but because it's so cool, you might not bother with the rest of the city. Oslo is Norway's capital, but it's a sleepy capital, and it's not a place where you feel pressure to go out, shop, and see famous sites. You'll find the sort of optimistic modernist architecture you would expect (but don't often see) in Scandinavia. There has obviously been a lot of effort put into redeveloping the waterfront, but it's well integrated, and the area has a unified character. While you're here you have to go to the , which is right next to the hotel. 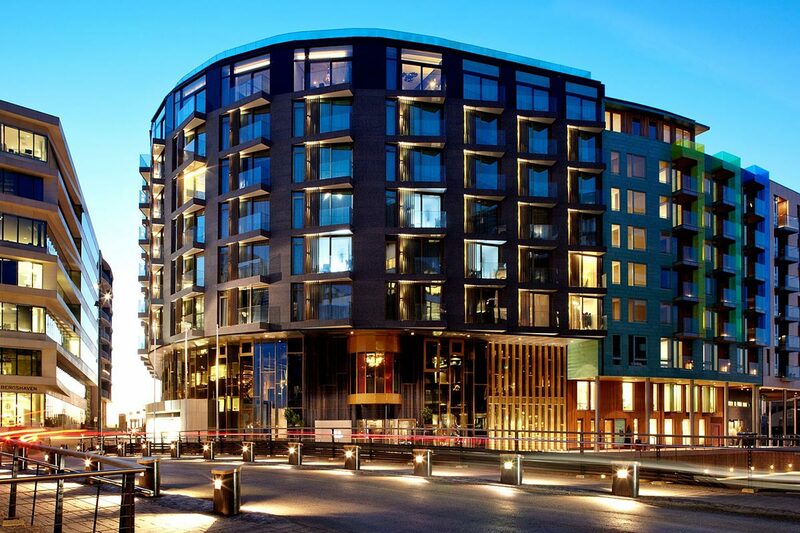 , across the harbor, is one of Oslo's coolest old buildings, more interesting than the . I was there in the winter, but in summer, when the ferry service resumes, you can visit the surrounding islands, which are a lot like Stockholm's islands. is a noteworthy public space, which is obviously outdoors, for those of you (who like me) are sensitive to the cold. I still found it enjoyable in the snow. Farther away, you can see , one of the world's most famous ski jumps — ski jumpers are cult heroes in Norway — with a view of the whole city. It's pretty dramatic, and definitely an iconic piece of local culture. There's also a museum with actual Viking ships recovered from burial sites, which is a good bet for kids. I found one excellent restaurant, called , which is walking distance from the hotel but inland, near the Royal Palace. From the train is the obvious choice — you take it to , about a 25-minute ride, and it's a ten minute walk to Tjuvholmen from there. Oslo is more compact than you might think, and everything is within a half-hour walk. Which is good, because taxis are incredibly expensive, though the tram and bus system are pretty good. You can pay as you board the bus/tram but you'll need small change — the ticket selling stations are hard to find, and the locals use a phone app. 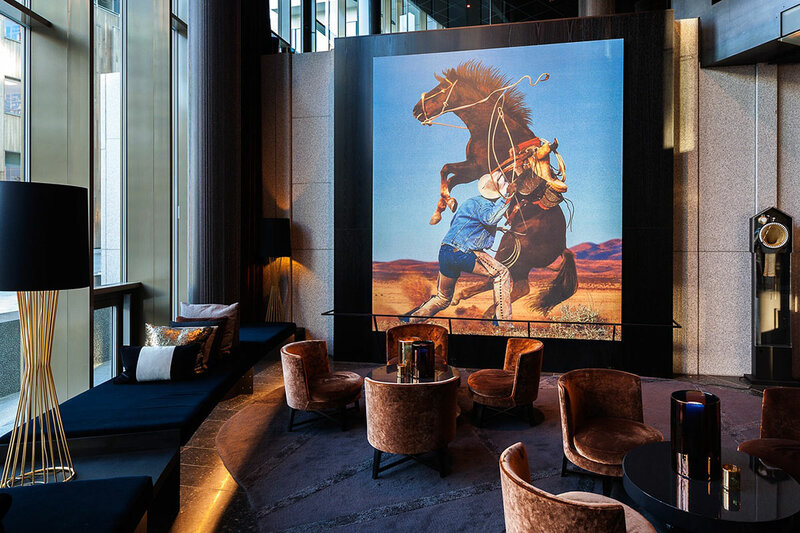 Rates start at $295. .
Laurent is a curator and an entrepreneur who co-founded , pioneering hotel curation on the Internet. He travels for the vital source of inspiration. Travel is the only activity that keeps him sane when everything else fails.